Razia Sultan, a brave sultan belonged to slave dynasty and was the first muslim women to rule India and only women to occupy the throne of Delhi. She succeeded her father Shams-ud-din Iltutmish to the Sultanate of Delhi in 1236. 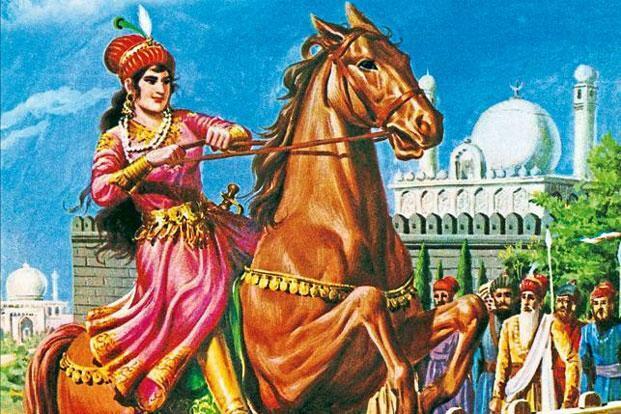 Razia Sultana was talented, wise, brave, excellent administrator, and a great warrior that attracted her father which resulted that she became the next sultan of Slave dynasty. Though her reign was just for three years, her bravery, her struggle and her undaunted spirit has been preserved in the treasures of history. Razia Sultan’s Tomb in Delhi is one of those places, which relives the unthwarted spirit of the brave woman who ruled Delhi once and for all. Razia Sultan father Shams ud-Din Iltutmish belonged to the Ilbari tribe in the Eurasian steppes of Turkestan and was sold into slavery at an early age. He became a favourite of his master Qutb ud din Aibak, founder of the Mamluk dynasty and the first Sultan of Delhi. Aibak married his daughter Qutb Jaan to Iltutmish. The couple welcomed their daughter Raziya Begum bint. Shams-ud-Din Iltutmish (Razia) in c. 1205, in Budaun, Uttar Pradesh, India. Razia Sultan had a full brother Nasiruddin Mahmud. Since her childhood Razia Sultana had the privilege to behold the power of the harem which was dominated by her mother as also that of the court where she had access as a favourite of both her father Iltutmish and maternal grandfather Aibak. Rukn ud din Firuz and Muiz ud din Bahram were her half-brothers born through former slave-girls. Aibak died in 1210 AD when Razia was five years old. He was succeeded by Aram Shah. Iltutmish was invited by a group of 40 Turkic nobles called the “Chihalgani” to take the throne of Delhi Sultanate as they were against Shah. In 1211 Shah and Iltutmish met on the plain of Bagh-i-Jud near Delhi where the former was defeated by Iltutmish who then became third ruler of Delhi Sultanate. Razia Sultana grew up as a brave young girl who took training in military skills and professional warfare like her brothers. Iltutmish would allow his favourite child Razia Sultan to be around him while he handled affairs of the state. Razia Sultana also received training on how to administer an empire in absence of a male ruler like some of the princesses of those times. Razia Sultan thrived in impressing her father with her skills and perseverance in carrying out her tasks and duties. One of Iltutmish sons, Rukn-ud-din Firuz occupied the throne. He ruled Delhi for about seven months. In 1236, Razia Sultana defeated her brother with the support of the people of Delhi. No other thing can stop Razia Sultana except love. The reason behind end of her was her unacceptable love. Jamal-ud-Din Yaqut, an African Siddi slave turned noble man who was a close confidante to her and was speculated to be her lover. Though it happened behind the many veils and doors their relationship was not secret in the Delhi High court. Malik Ikhtiar-ud-din Altunia, the governor of Bhatinda, was against such relationship of Razia Sultan. The story goes that Altunia and Raziya were childhood friends. As they grew up together, he fell in love with Raziya and the rebellion was simply a way of getting back Razia Sultan. Razia Sultan proved her efficiency as a ruler. Razia Sultan gave up purdah as also the women attire for Muslims and wore attire that was similar to the ones worn by rulers before her. The conservative Muslims were however shocked and did not like her move of breaking the custom by giving up the veil and displaying her face in public. 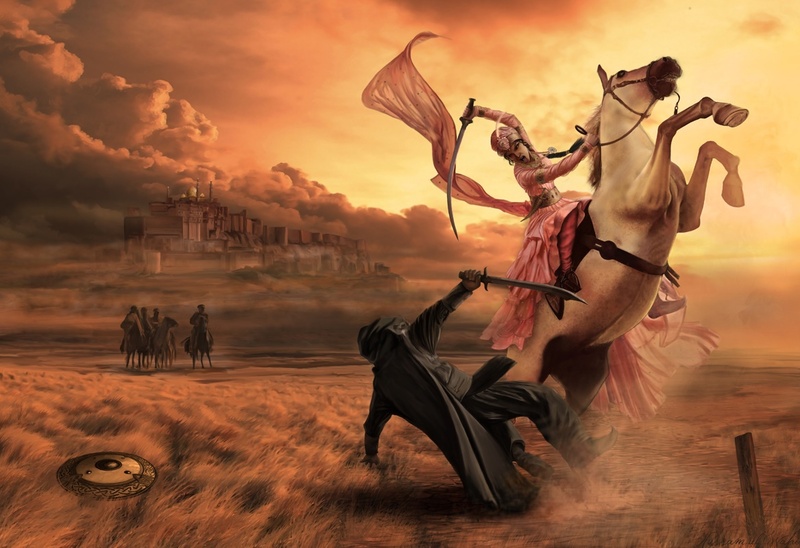 Razia Sultana ran her government adroitly and confidently and at the same time demonstrated her warrior skills by riding an elephant and leading her forces from the front in the battles as the chief of her army. Razia Sultan captured new territories thus fostering her kingdom. During her reign, Razia Sultan made significant reforms in government thus displaying her skills as a competent administrator. Razia Sultana established proper law and order in her empire and made attempts in bettering the infrastructure of the country by digging wells, building roads and encouraging trade. A secular ruler, Razia made efforts in safeguarding and conserving the inherent culture of the Hindu subjects in her reign. Razia Sultan attempted to do away with the tax imposed on non-Muslims, but was opposed by the nobility. Razia Sultana set up schools, centers for research and academies apart from public libraries that had the Quran and the traditions of the Prophet as well as works of ancient philosophers. Schools and colleges also imparted lessons from Hindu works in literature, astronomy, philosophy and science. Razia Sultana was also a patron of art and culture and supported musicians, poets and painters. Razia Sultan ordered coins that would be minted with her name engraved. Razia Sultan full brother and eldest son of Iltutmish, Nasiruddin Mahmud was the heir apparent of Iltutmish and was therefore groomed to succeed his father. Nasiruddin Mahmud became the governor of Bengal and was bestowed with the title of Malik-us-Sharq (Lord of the East) by his father. However after his sudden death in 1229 CE, Iltutmish became worried of a worthy successor as he felt all his surviving sons born of his other wives were incapable to rule. Razia Sultan demonstrated her capability by acting as an able regent with the support of a loyal minister of Iltutmish while the latter left Delhi in 1230 to invade Gwalior. After a one-year siege Iltutmish captured Gwalior and returned to Delhi in 1231 and was impressed to see his daughter’s performance. 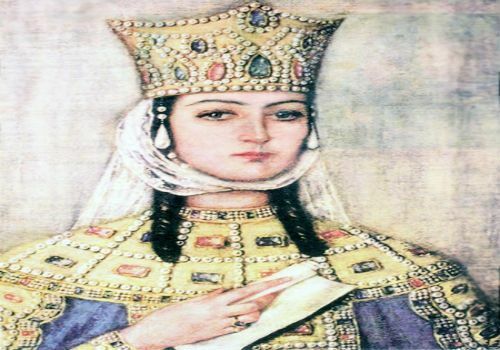 He nominated Razia Sultana as his heir apparent while in death bed in 1236 and with this he made history by becoming the first ever Sultan to break all norms and designate a woman as successor. However the nobles of the court were not happy to have a woman as ruler and thus did not support Razia Sultan. Upon her father’s death on April 30, 1236, her half-brother Rukn ud din Firuz was made the fourth sultan of the Mamluk Sultanate. The newly crowned Rukn ud din Firuz was a self-endowed person and indulged himself in personal pleasures including resolving in music, and debauchery which caused much indignation among the people of the kingdom. His mother Shah Turkaan took advantage of his casual attitude as a king and grasped all powers in her hand and started running the government. Shah Turkaan proved to be a despotic ruler who directed execution of several people of the kingdom. Eventually Rukn ud din Firuz was considered an unfit ruler and on November 9, 1236, he and his mother were murdered. The nobility then reluctantly agreed the ascension of Razia to the throne as the fifth sultan of the Mamluk Sultanate. 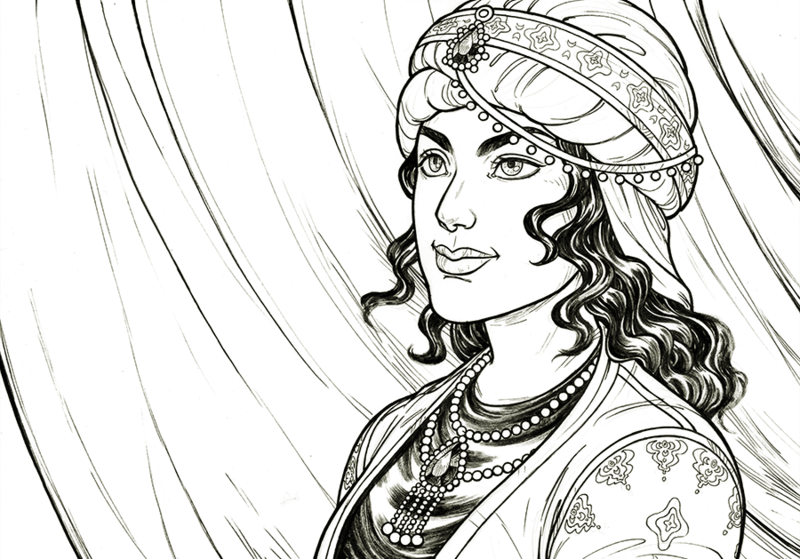 This made her the first and only female ruler of the Delhi Sultanate. Her coronation ceremony was held on November 10, 1236 and she started reigning with the Regnal name of Jalâlat-ud-Dîn Raziyâ. Being an efficient ruler Razia Sultana set up proper and complete law and order in her in his empire. Razia Sultan tried to improve the infrastructure of the country by encouraging trade, building roads, digging wells and also she established schools, academies, centers for research, and public libraries that included the works of ancient philosophers along with the Quran and the traditions of Muhammad. Hindu works in the sciences, philosophy, astronomy, and literature were reportedly studied in schools and colleges. Razia Sultana contributed even in the field of art and culture and encouraged poets, painters and musicians. The greatest achievement for the Razia Sultan was that she successfully won the confidence of her people. Razia Sultana had all the support of the common peoples. The governor of the Multan or Hansi or Lahore and Badaun joined by Junaidi, they Wazir encamped their troops near Delhi. Razia Sultana did not possess adequate forces to engage them in the open conflict. Razia Sultan therefore led her forces out of the fort but tried to gain her end by diplomacy rather than by war. When the Razia Sultan was trying to curb a rebellion against her by the Turkish Governor of Batinda, the Turkish nobles who were against such female throne, took advantage of her absence at Delhi and dethroned her. Her brother Bahram was crowned. To save her own head, Razia Sultana sensibly decided to marry Altunia, the governor of Batinda and marched towards Delhi with her husband. On October 13, 1240, Razia Sultan was defeated by the Bahram and the unfortunate couple was put to death the very next day.